I basically agree with Jim’s and Dan’s assessments of the substantive provisions of the TPP when it comes to environmental issues. (I have real problems with the Intellectual Property provisions, but that is another matter). For the most part, the provisions that they cite do not appear to significantly impair environmental regulation. 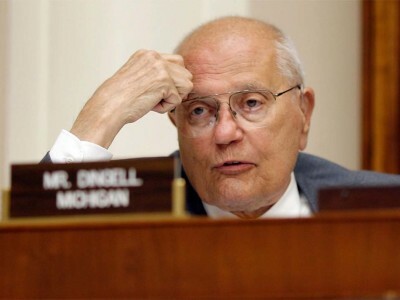 But as former Congressmember John Dingell famously (and accurately) stated: “I’ll let you write the substance. You let me write the procedure, and I‘ll screw you every time.” The question, it seems to me, is not just what the law says and but more importantly who its interpreters will be. As William Michael Treanor has demonstrated, the framers only intended the Takings Clause to apply to actual governmental seizure of property, but as every first-year law student knows, the Supreme Court has given it new power as a way to review environmental regulations that do not take title at all, and that is due in no small part to a group of very conservative justices. So the question is, who will these judges be? TPP specifies that they will come from bodies such as the International Centre for the Settlement of Trade Disputes, a well-respected international institution. Fair enough. But let us take a look at who these arbitrators are. For the most part, they are corporate lawyers with substantial experience in international trade and with major private clients. So to begin with, there is something of a conflict-of-interest. Second, they lack any experience with environmental regulation, except to the extent that they want to challenge it. Here is the most recent list of American arbitrators that ICSID provides: virtually all of them are major Republican legal players (although a couple are distinguished conservative-leaning academics). That is to be expected. As you can see from when their terms run out, they are Bush Administration holdovers, appointed literally in the waning hours of that administration. And that, in turn, reveals two things. First, ICSID arbitrators do not have life tenure: they will most likely go back into the private sector after their six-year terms are up. That is not good for environmental protections. Second, they can have private sector clients while they are serving as arbitrators. That is also not good for environmental protection. Persons designated to serve on the Panels shall be persons of high moral character and recognized competence in the fields of law, commerce, industry or finance, who may be relied upon to exercise independent judgment. Competence in the field of law shall be of particular importance in the case of persons on the Panel of Arbitrators. availability and willingness to travel for case proceedings. Notice something here? Most arbitrators will be people with experience and competence in trade, finance, commerce, and arbitration itself. They might have virtually no knowledge of environmental issues and come from a business perspective. They also will tend to come from very elite private sector areas. None of this means that arbitral panels are necessarily anti-environmental, and as Jim and Dan have observed, the history does not indicate hostility to environmental considerations (although the ongoing Vatenfall litigation in Germany under the Transatlantic Trade and Investment Partnership is cause for concern). But it does say that at the very least, environmentalists need to focus on reform of the requirements and qualifications of international arbitrators. : this is deck stacked against the environment and maybe the benign history is more one of luck than substance. If one is a pessimist, then one might say that environmentalists litigating before these panels can win, but it’s an away game. Lots of visiting teams win, but I’d rather be on a neutral court.